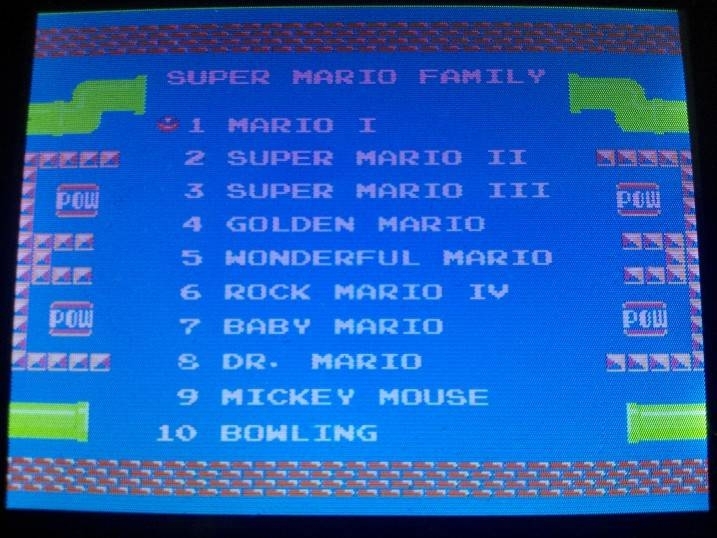 But it is not yet another stupid multicart where pirates just merged all games of same mapper and added ugly menu. 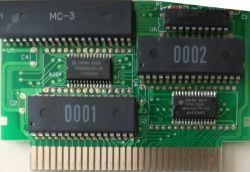 Here, all games were converted to MMC3 (SMB2J in MMC3 version was something not to be available until loopy's releases his version). *Mario Bros (Arcade) when treated as standalone 16kB ROM at $74000 does not work - it is almost same like original version but with address of reset vector changed. When merged with menu ($54000 + $74000) it works. *Just after power up, how to jump-in into menu? *Any idea how to describe this mapper in software? 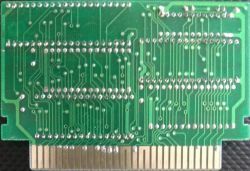 THen maybe later I would be able to deduce how it is built in hardware. If you could dump what is after powerup at CPU $8000-$ffff and PPU $0000-$1fff,. 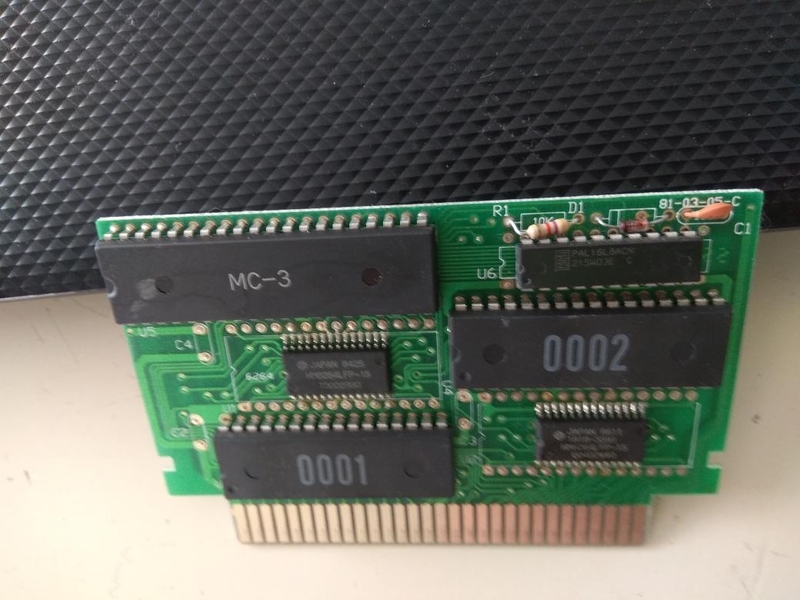 Also it would be good to check which of PAL pins 1-9, 11-19 connect to which PRG/CHR ROM pins and MMC3 (some might be connected to both of them). Unfortunatelly it can't be seen from phote. Don't know how to write an anago script, sorry. But will dump if one is provided. Last edited by MLX on Sat Jul 14, 2018 3:59 am, edited 2 times in total. I will check 11-19 later. Try. 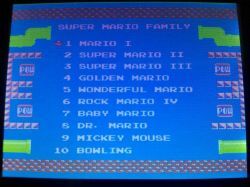 It is based on the menu ROM provided in the first post. 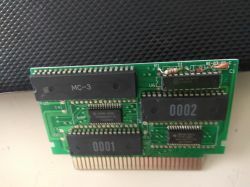 This cartridge is another instance of the PAL chip heating up with the kazzo, even when not hot plugged. What is 0001.1 connected to? That only dumped Armadillo (block 0), which is okay, since we did not have that before. I think the outer bank locks after one write. Version v11a tries to unlock it via two write to E080 (which is what the startup code does), while version 11b only dumps PRG block 1, which is the only one we don't have so far. 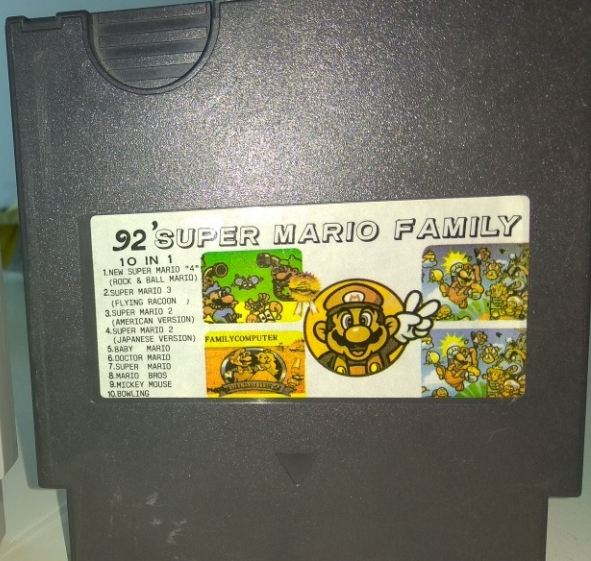 Better try version 11b first for safety, and let me see if I can combine the result with the GoodNES dump (which seems to contain blocks 2 and 3) and the previous block 0, before trying version 11a. Edit: corrected the size specification in the A script. Last edited by NewRisingSun on Sat Jul 14, 2018 8:26 am, edited 2 times in total. There are probably up to four registers ($8080/$a080/$c080/$e080), but only A14-A13 matters when writing. And M2 need to be toggled at 1.7MHZ, otherwize PAL internal state might reset. A & B had the same CRC. Last edited by MLX on Fri Sep 07, 2018 1:43 am, edited 1 time in total. Then it's the M2 problem again, as kryziobal mentioned. 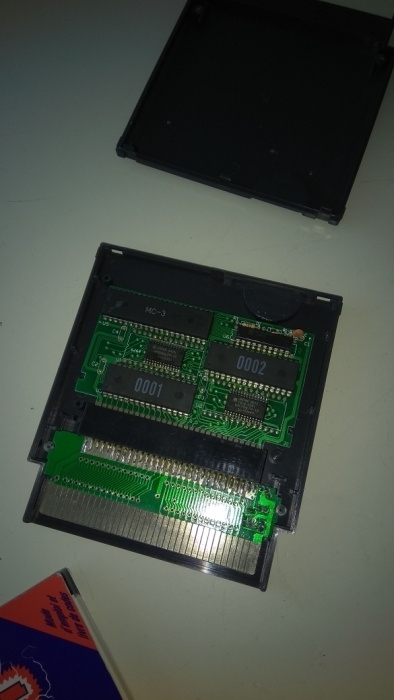 For what it's worth, here is the combined ROM image --- GoodNES' banks 2 and 3, together with MLX' bank 0 ---, a Nintendulator-NRS build with Mapper 353 support, and a Mapper 353 source file. 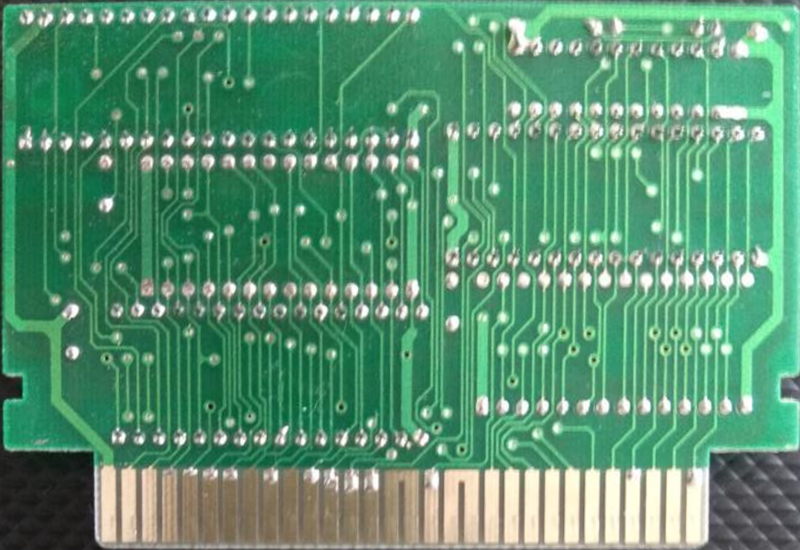 I have filled 256 KiB of 0x00 where bank 1 would go, so game 3 does not work with this incomplete ROM image. Given that most of the games seem to have hacked title screens, I have resisted the temptation to replace the missing bank with data from a standard SMB3 ROM image. Edit: Added FDS expansion sound to Mapper 353 in the Nintendulator-NRS build. 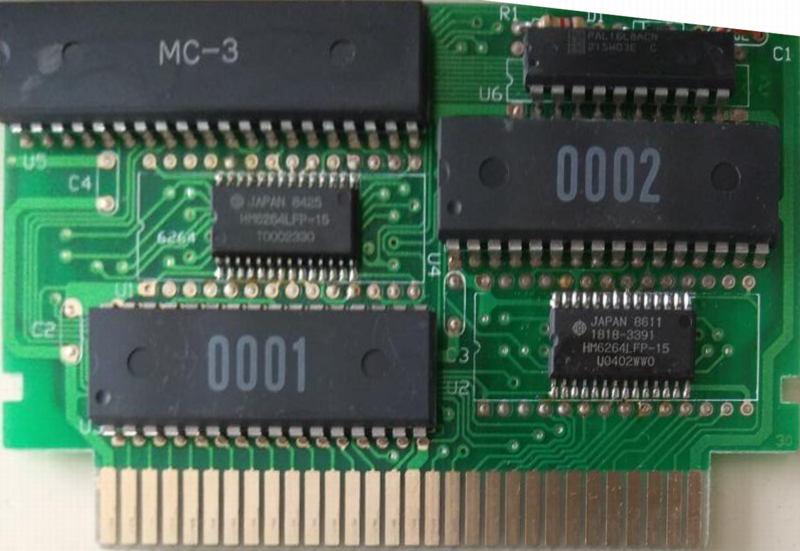 Use "Sound->Expansion Audio on Bootleg Carts" to get the authentic, expansion-sound-less bootleg experience. Last edited by NewRisingSun on Mon Jul 23, 2018 9:43 pm, edited 3 times in total. Would feeding pin 32 with a square signal at that frequency during the whole dumping sequence do the trick?